Blizzard announced the full schedule and a prize pool bump for the 2019 season. The Overwatch League is not yet ready to move to its city-based structure, but three teams will host “home” games in the 2019 season: Atlanta Reign, Dallas Fuel, and Los Angeles Valiant. Dallas’ “home” games will be played April 27 to 28 at the Allen Event Center in North Texas, with matches featuring Chengdu Hunters, Hangzhou Spark, Houston Outlaws, London Spitfire, Paris Eternal, Los Angeles Valiant, and Seoul Dynasty. Atlanta’s matches will be held July 6 to 7 with Florida Mayhem, Guangzhou Charge, New York Excelsior, Philadelphia Fusion, Shanghai Dragons, Toronto Defiant, and Washington Justice. 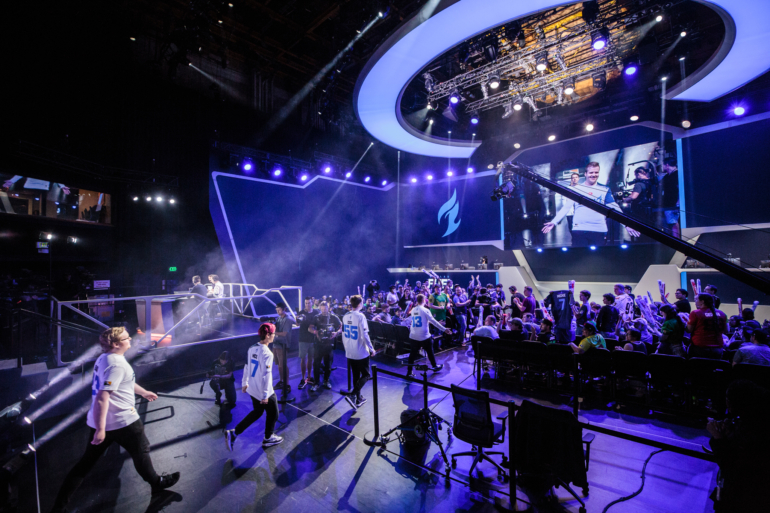 Matches will be held in Los Angeles’ The Novo by Microsoft at L.A. Live from Aug. 24 to 25 with Atlanta Reign, Boston Uprising, Dallas Fuel, Hangzhou Spark, Los Angeles Gladiators, New York Excelsior, Vancouver Titans, San Francisco Shock, and Shanghai Dragons. Six teams will qualify for the league’s post-season games, with the top team from the Atlantic and Pacific divisions each receiving top seeds. A play-in tournament will determine the two final playoff spots, to be held in August. Teams that placed seventh through 12th will be able participate in the play-in tournament, which will replace the stage four finals. The Overwatch League’s 2019 season begins on Feb. 14 at Blizzard Arena Los Angeles. The full schedule is now available online.